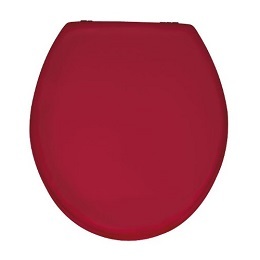 Enhance the look of your bathroom with a splash of get-noticed colour by upgrading your toilet with the Wenko 152201100 Prima Bordeaux Red Toilet Seat. This magnificent design shows off a rich burgundy colour that is inspired by the hue of wine grapes growing on the vine. The overall look of the toilet seat is simple, as its lines are clean and smooth and its lid has a sleek texture. The simplicity puts the emphasis on the colour, making the toilet seat a great way to add a secondary hue to the design of your bathroom or to carry the main colour of the space all the way to the look of the toilet. 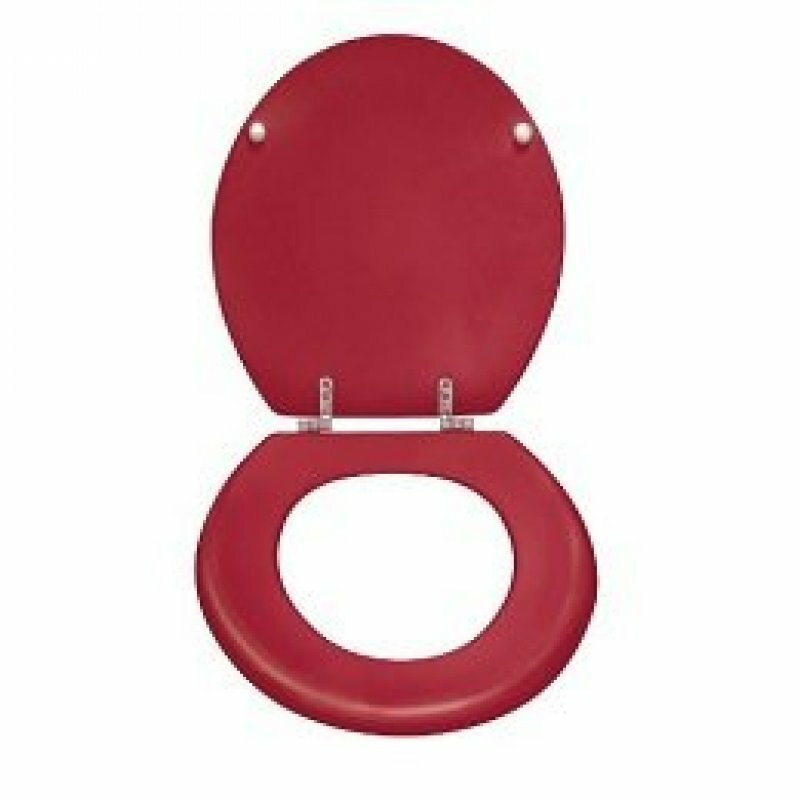 The Wenko 152201100 Prima Bordeaux Red Toilet Seat is manufactured out of MDF, a durable material that resists breakage and has the look and feel of real wood. Numerous layers of clear coating have been applied to the toilet seat to create a nonporous surface that does not encourage the growth of mould or bacteria. The fixings featured in the design are heavy-duty to withstand frequent use, and they are plated with chrome for both style and resistance to rust. The hinges adjust from 8.5 centimetres to 19.5 centimetres for universal mounting.